Freedom isn't free. Think about it. Learn more about individuals who have served our country, sacrificed and guaranteed the freedoms we enjoy every day. The Veterans History Project collects and preserves the personal accounts of American war veterans from WW I through today, making them accessible online, so that we and future generations may hear directly from our veterans. Through their personal narratives, pictures, diaries and letters, they help us better understand the realities of war. Know a veteran? Perhaps you can participate in this project, adding your grandparent, parent or friend's experiences to this digital archive. Search the registry by name or by home town. The Medal of Honor is the highest award bestowed by the United States military for valor in action against an enemy force. Explore the Recipients section to see individual records with citation and learn what "above and beyond the call of duty" truly means. The Wall, as the Vietnam War Memorial is often called, was built in 1982. Its mission is to honor Vietnam Veterans and heal the wounds of a nation. Click Advanced Search to locate a service person by name or hometown. The White Table or the Remembrance Table is a solemn observance started by the Red River Valley Fighter Pilots Association, the so-called River Rats of the Vietnam War. Now, throughout the world, all branches of the U.S. military use it to honor MIAs, POWs, and, all those who've served. 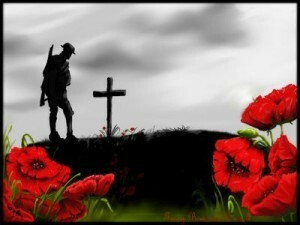 Today it will be our way of remembering them and all who are currently in military service to our county. 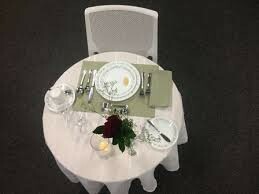 The TABLE is small and set for only one, symbolizing one soldier’s lonely battle against many. The TABLECLOTH is white, to honor a soldier’s pure heart when he answers his country’s call to service. The GLASS is inverted – they cannot eat or celebrate with us today. A BLACK NAPKIN represents the sorrow of those who are prisoners. A SLICE OF LEMON is on the bread plate to remind us of the bitterness of their task. SALT on the bread plate is symbolic of tears of families waiting for loved ones to return. A WHITE CANDLE represents our hope for peace. The VASE tied with a RED RIBBON symbolizes our hope that all our missing will return someday and is filled with ROSES to remind us of families and loved one who wait and long for their return. An EMPTY CHAIR is pushed to the table, reminding us that this place is for the soldiers who are not here. Based on America’s White Table by Margot Theis Raven, Sleeping Bear Press, 2005. "Poppy and Soldier at the Grave." LIVES : Lincolnshire Integrated Voluntary Emergency Service. Lincolnshire Integrated Voluntary Emergency Service, 21 July 2015. Web. 13 Oct. 2015. <http://www.lives.org.uk/event/the-long-long-trail/poppy-and-soldier-at-grave/>. Soldiers of the 353rd Infantry near a church at Stenay, Meuse in France. History of Veterans Day. Office of Public Affairs, United States Dept. of Veterans Affairs, 20 July 2015. Web. 13 Oct. 2015. <http://www.va.gov/opa/vetsday/vetdayhistory.asp>. Veterans Day. Performed by Jennifer Love Hewitt. YouTube. N.p., 2007. Web. 14 Oct. 2015. <https://www.youtube.com/watch?v=9f3SWhpgjP0>. Originally produced and posted by Dept. of Veterans Affairs.